There are few centre forwards in today's game who are as deadly as Luis Alberto Suarez Diaz. 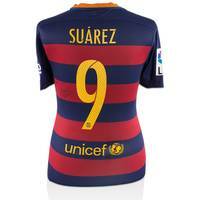 "El Pistolero" has left his mark wherever he has played; be it Ajax, Liverpool or FC Barcelona. Switching from Anfield to Camp Nou in the summer of 2014, Suarez's arrival was to herald a new dawn of dominance for La Blaugrana. 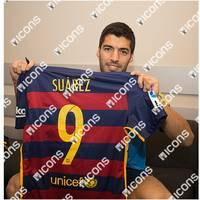 As the last remaining piece in what has become the sport's most fearsome forward three, Suarez helped fellow forwards Leo Messi and Neymar Jr to a collective 122 goals in their first treble-winning season together. In 2015-16, they scored 131 times. With his tireless work rate and astonishing eye for goal, this Uruguayan menace now looks to cementing his place as one of the best number nines in world football. 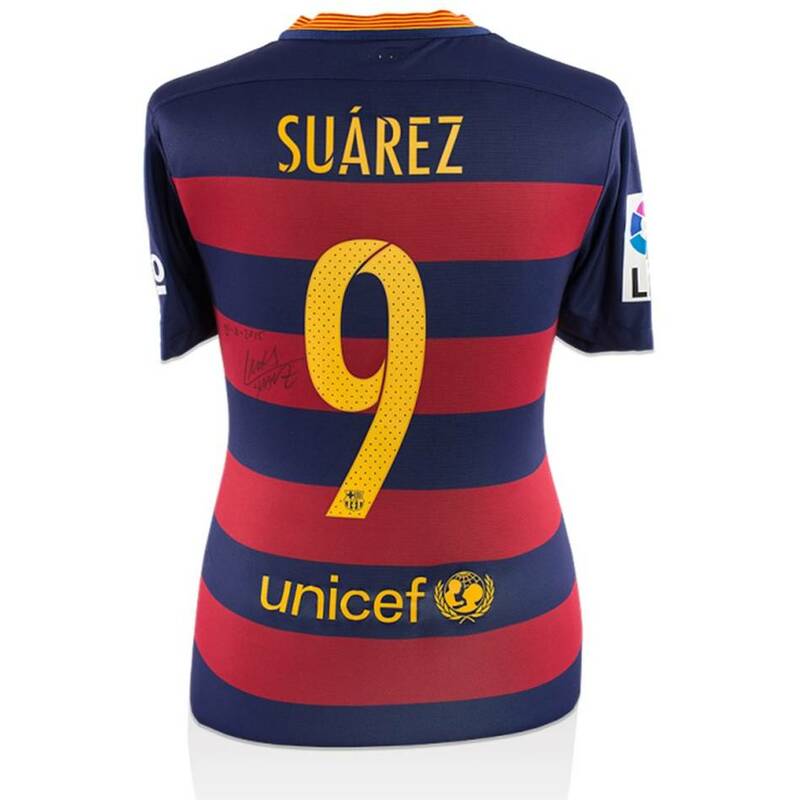 Official Memorabilia are proud to offer this extremely unique opportunity to own a match-worn jersey from Luis Suarez.